There's not going to be a film review today because there's much bigger news. I'm sure you've all heard it by now, the queen of British music is back and my god she's back with an incredible song. If you live in England then you will know that on Sunday in the break for the X factor a snippet of the new song hello was played. It didn't say anything about Adele, when it would be out and basically left us all entranced by a thirty seconds clip of the UK's most awaited album in years. Anyone who knows me will know that I'm a massive Adele fan. Her music is just so beautiful, relatable and she's just such a breath of fresh air. Adele has said that she didn't think anyone would notice her advert and that people wouldn't know it was her. How wrong she was, we all took to twitter like the rest of the world. She's got such an iconic voice that it was clear that an new album was soon to emerge. Hello was released today and it was first played on radio 1. Its not on iTunes to buy which is super exciting. She's also announced that her album, 25, will be release on the 20th November this year. I'm literally so excited for this. Any Adele fan will know that after the skyfall single she just dropped of the radar and went silent for three years. I'm so happy that we know have new Adele music. Her song hello is so beautiful. I was actually crying when I listened to it at 8am this morning, you can always count on an Adele song to have you crying like a baby. The lyrics to hello are fantastic, if you haven't heard it then please all click the link below. Ill link her video of the song hello and I will leave the lyrics as well. If your like me then your probably already know all the lyrics and have played it well over thirty times. Adele might not be your cup of tea but for me, well she's just such an inspiration and she's brought so much happiness to my life through her music. 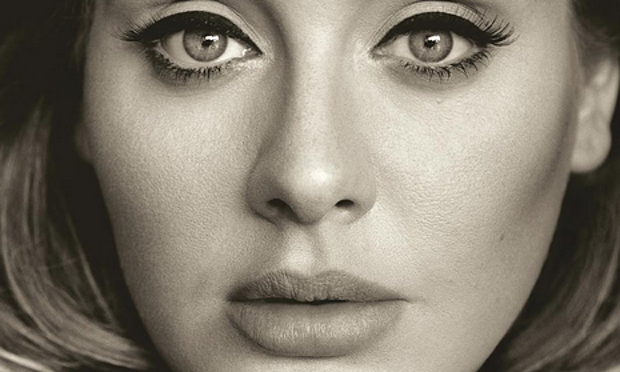 I'm sure the rest of the world is just as excited to hear Adele new music just like us Brits. Let me know what you think of her new song in the comments.